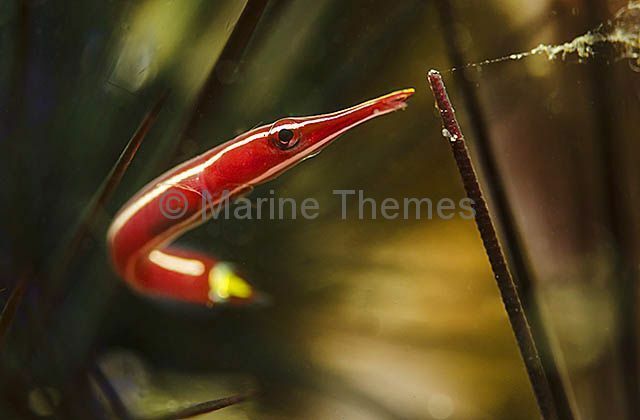 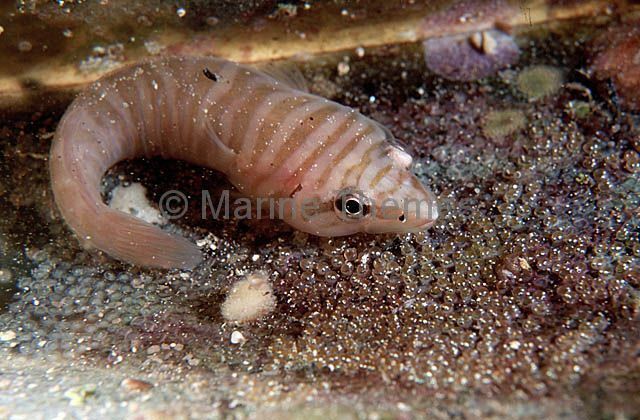 Tasmanian Clingfish (Aspasmogaster tasmaniensis) guarding egg mass. 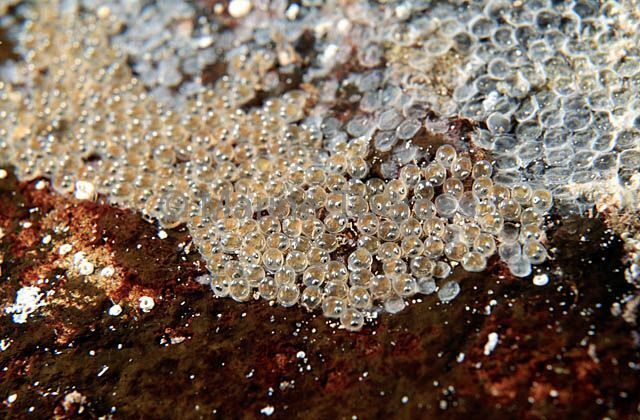 Tasmanian Clingfish (Aspasmogaster tasmaniensis) eggs. 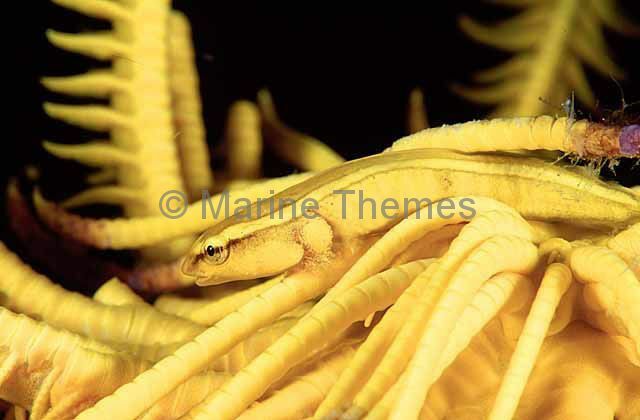 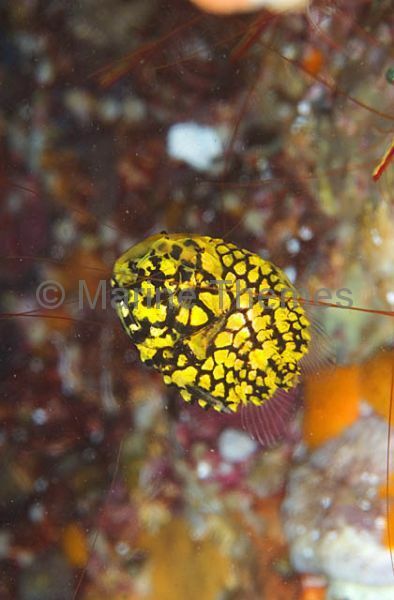 Crinoid Clingfish (Discotrema echinophila) on yellow crinoid. 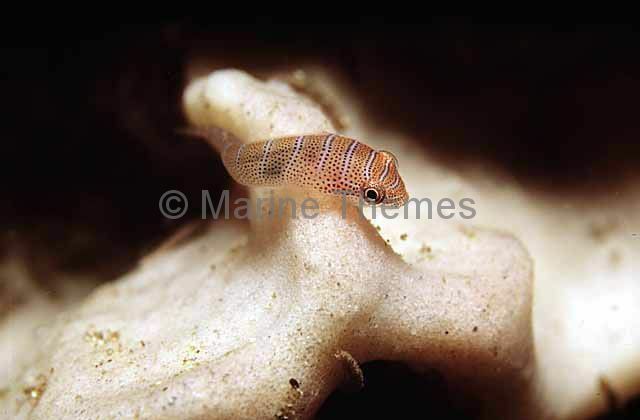 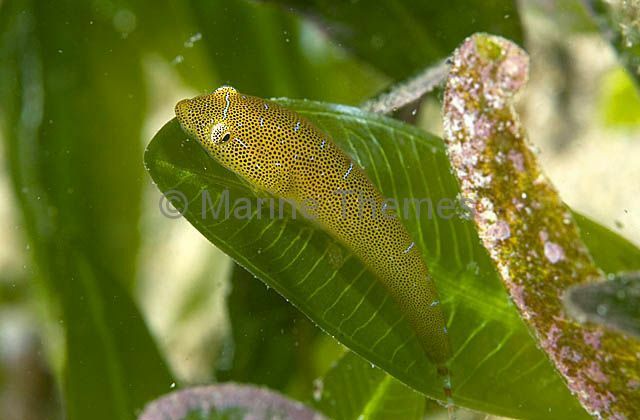 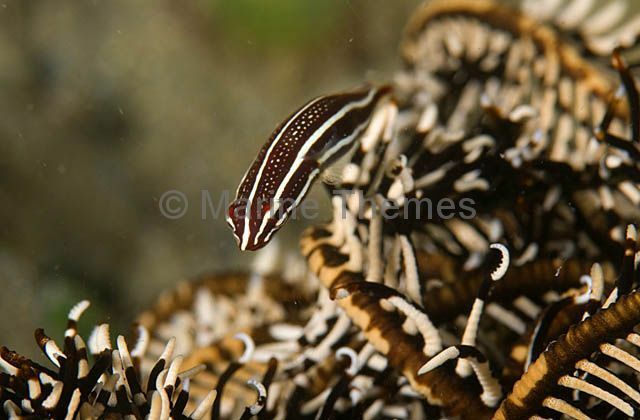 Western Cleaner-clingfish (Cochleoceps bicolor) Juvenile. 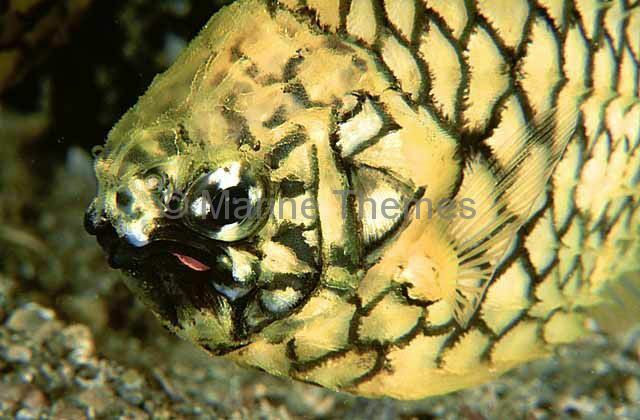 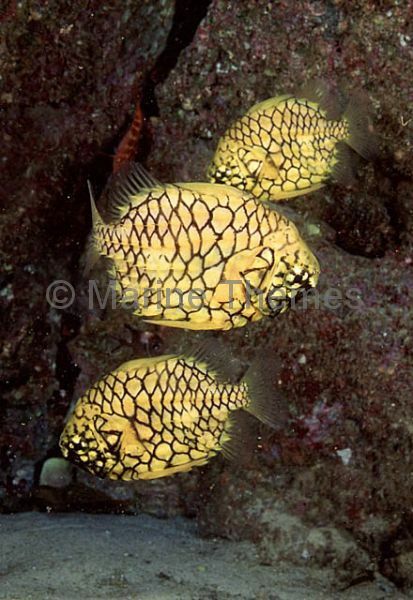 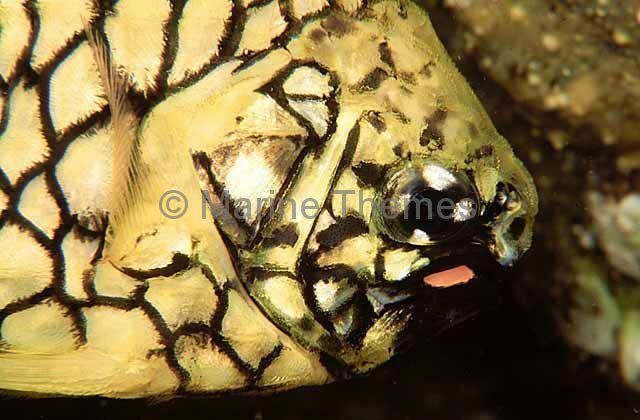 Pineapplefish (Cleidopus gloriamaris) Have light organ below jaw for nocturnal feeding. 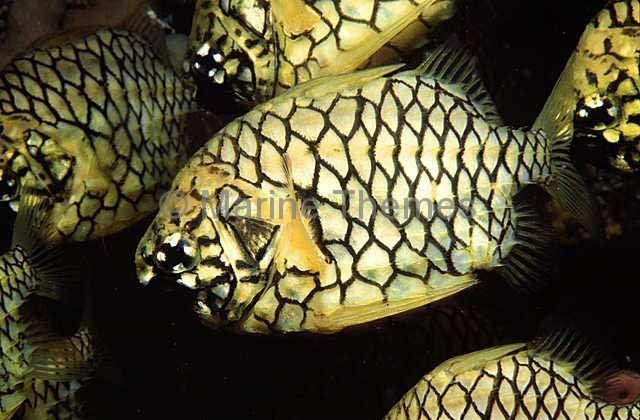 Pineapplefish (Cleidopus gloriamaris) showing red light organ on lower jaw which holds symbiotic light producing bacteria. 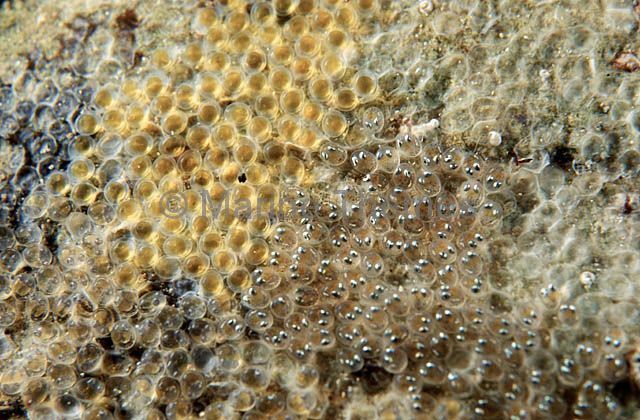 Used to attract prey. 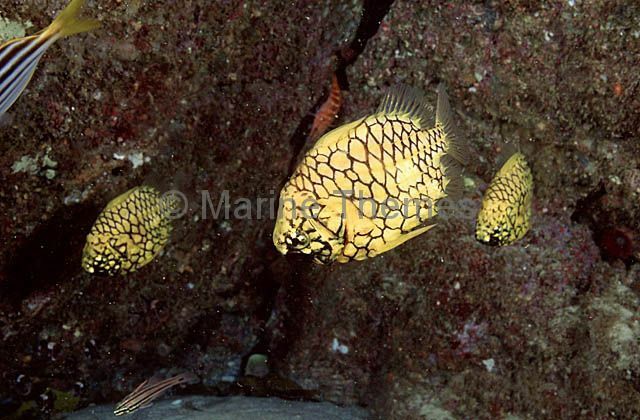 Pineapplefish (Cleidopus gloriamaris) Nocturnal. 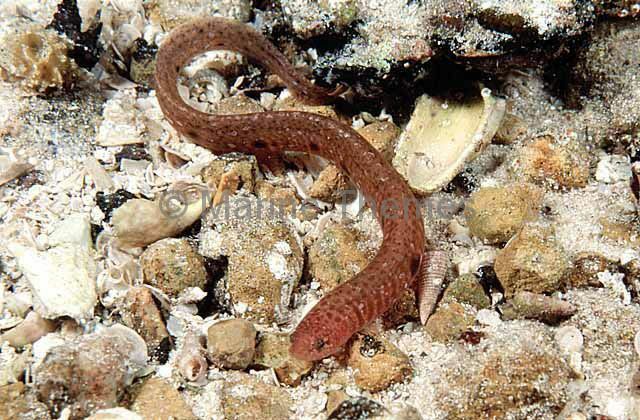 Uses red light organ on lower jaw, which holds symbiotic light producing bacteria, to attract prey. 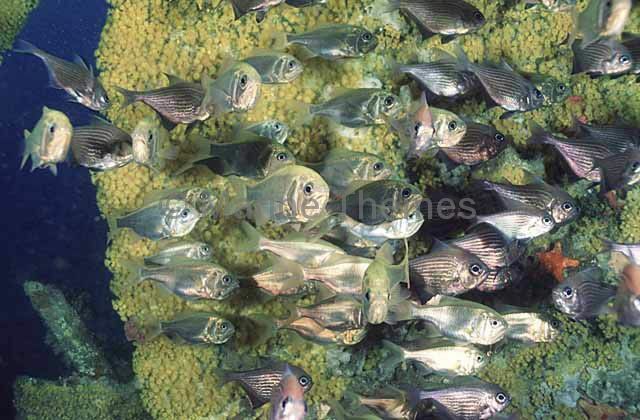 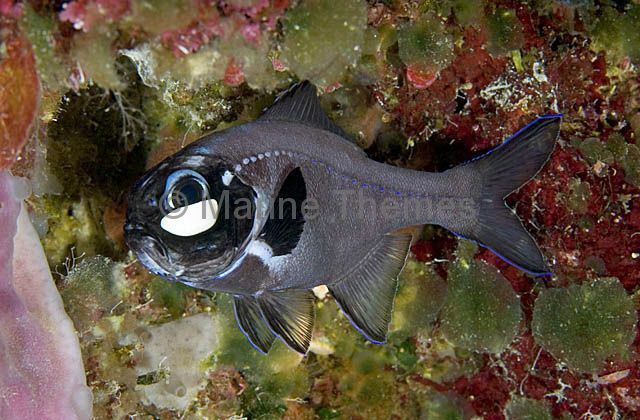 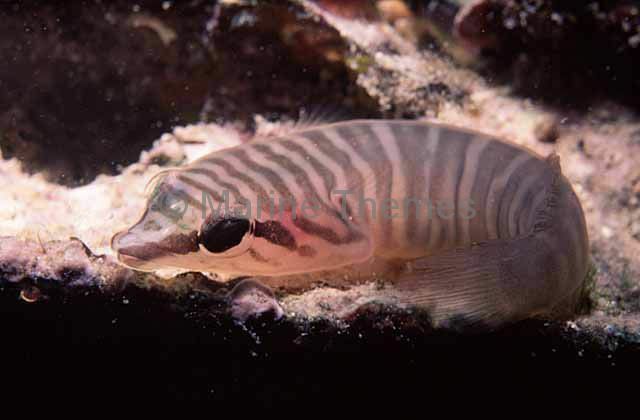 Lanterneye Fish (Photoblepharon palpebratus) with distinctive pocket exposed below eye with bioluminescent bacteria used to attract prey during nocturnal feeding. 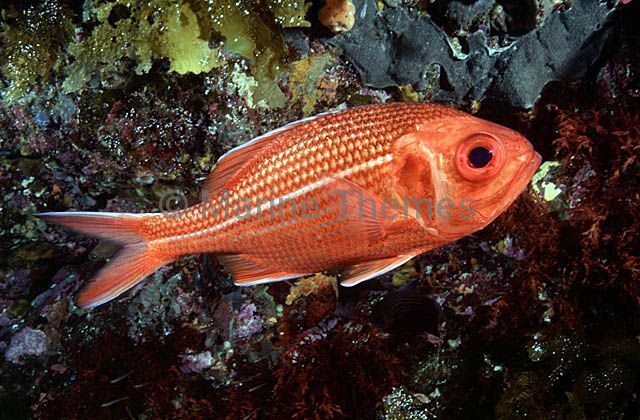 Red or King Snapper (Centroberyx gerrardi) Nocturnal feeder.